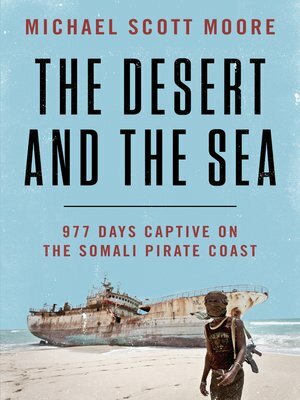 In January 2012, having covered a Somali pirate trial in Hamburg for Spiegel Online International—and funded by a grant from the Pulitzer Center on Crisis Reporting—Michael Scott Moore traveled to the Horn of Africa to write about piracy and ways to end it. In a terrible twist of fate, Moore himself was kidnapped and subsequently held captive by Somali pirates. Subjected to conditions that break even the strongest spirits—physical injury, starvation, isolation, terror—Moore's survival is a testament to his indomitable strength of mind. In September 2014, after 977 days, he walked free when his ransom was put together by the help of several US and German institutions, friends, colleagues, and his strong-willed mother. Yet Moore's own struggle is only part of the story: The Desert and the Sea falls at the intersection of reportage, memoir, and history. Caught between Muslim pirates, the looming threat of Al-Shabaab, and the rise of ISIS, Moore observes the worlds that surrounded him—the economics and history of piracy; the effects of post-colonialism; the politics of hostage negotiation and ransom; while also conjuring the various faces of Islam—and places his ordeal in the context of the larger political and historical issues. A sort of Catch-22 meets Black Hawk Down, The Desert and the Sea is written with dark humor, candor, and a journalist's clinical distance and eye for detail. Moore offers an intimate and otherwise inaccessible view of life as we cannot fathom it, brilliantly weaving his own experience as a hostage with the social, economic, religious, and political factors creating it. The Desert and the Sea is wildly compelling and a book that will take its place next to titles like In the Den of Lions and Even Silence Has an End.